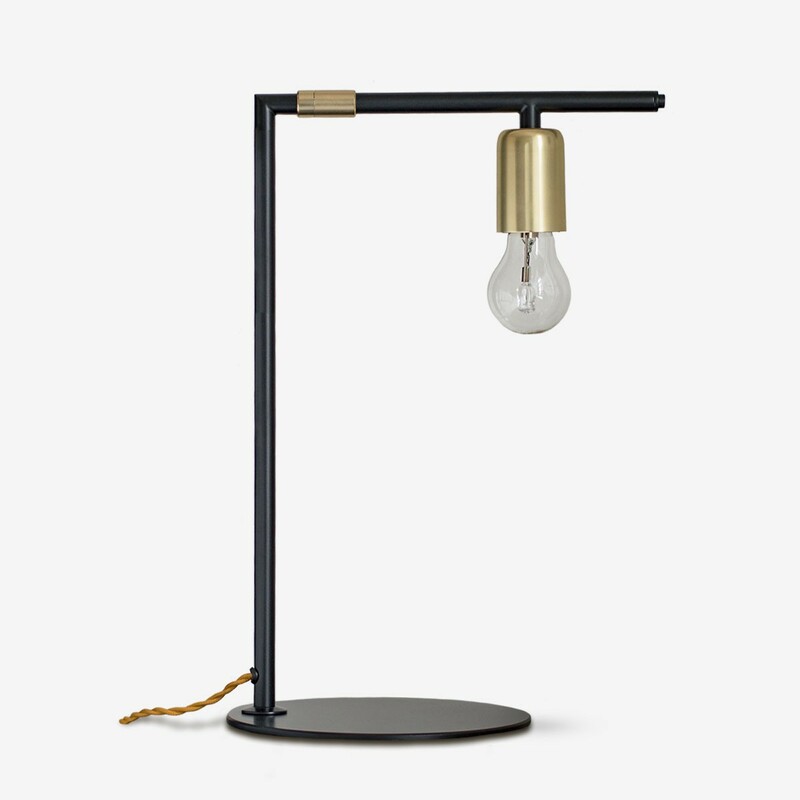 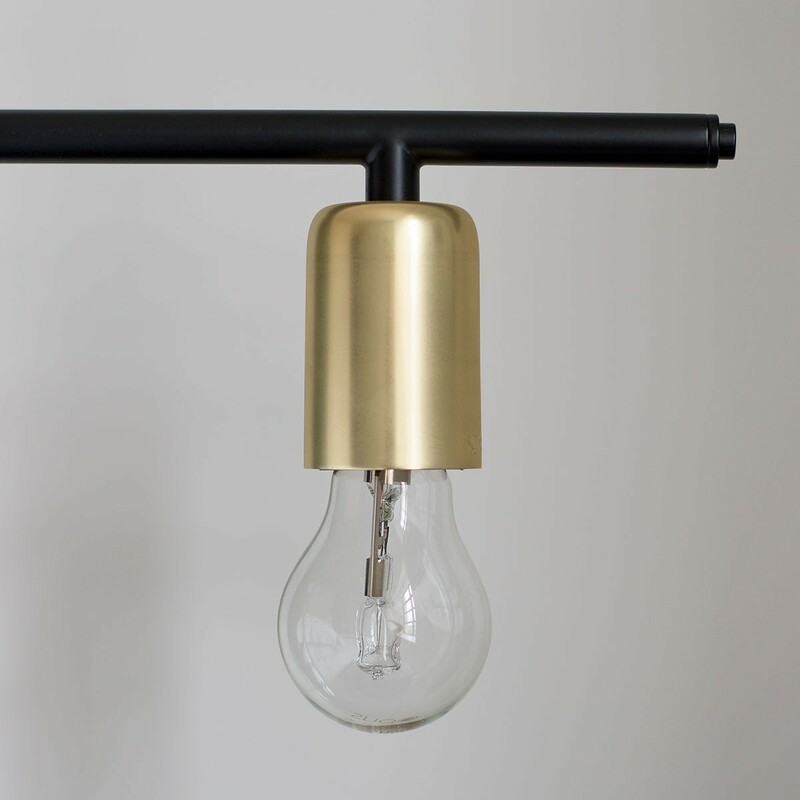 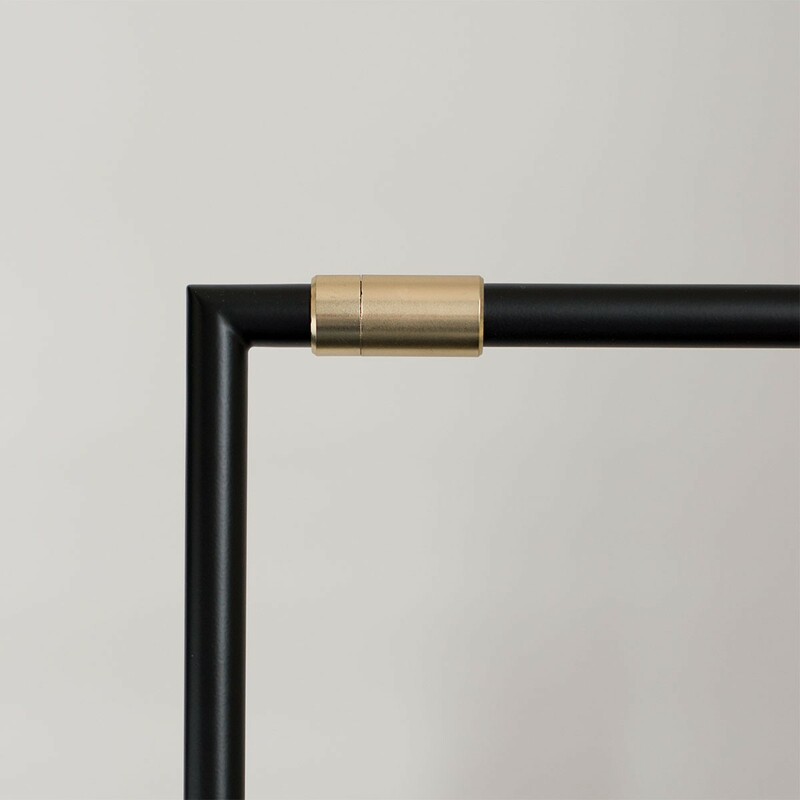 Cast a stylish glow anywhere in your space with this stylish matte black metal and brass table lamp. 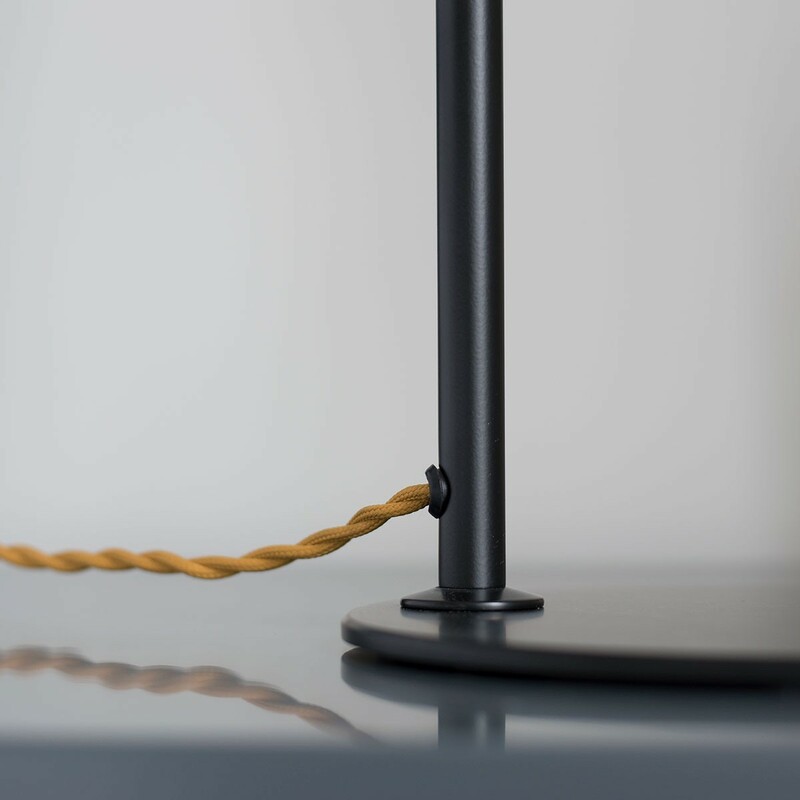 Full 360° rotation makes it a highly versatile addition to your interior; the ball joint arm offering practical functionality. 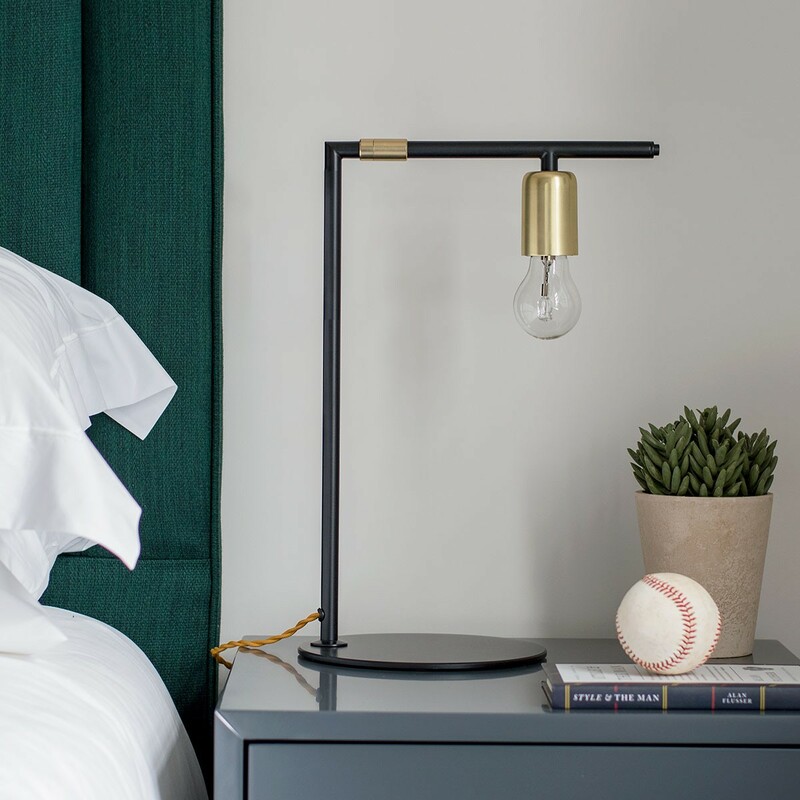 Perfect as a bedside or desk accompaniment, subtle brass touches tick this year's soft spot for gold whilst the cord-covered wire adds a hint of luxury and sophistication.